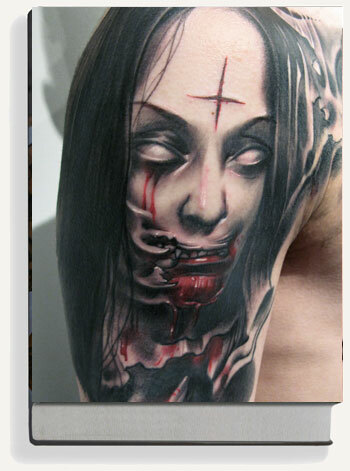 Reduced price - was 248.00 EUR. 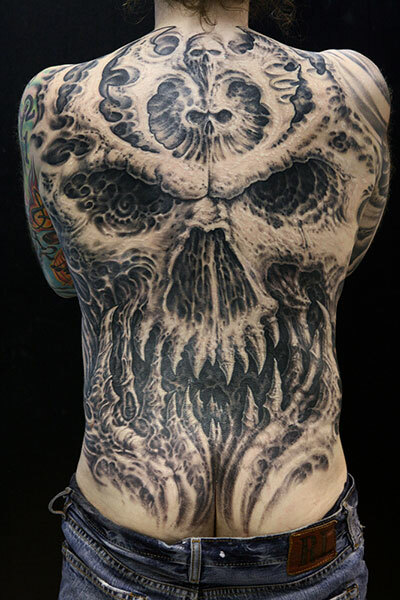 BLACK & GREY TATTOO 1-3 is a mammoth work! Reduced price - was 248.00 EUR. 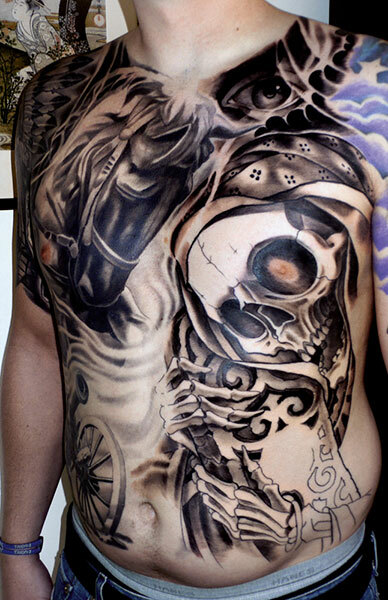 BLACK & GREY TATTOO 1-3 is a mammoth work. 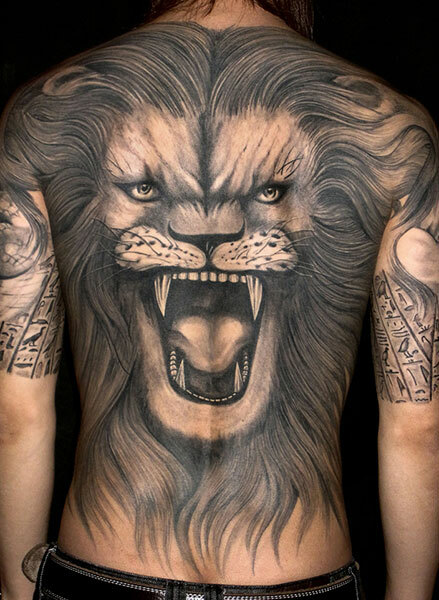 Comprising over a thousand pages and weighing 10kg (22 lbs), it is one of the largest – if not the largest – tattoo book ever published! Its three large-format volumes are contained inside a lavish and sturdy hardcover box. 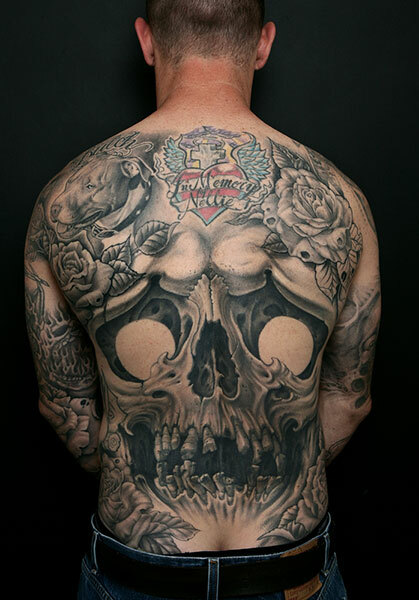 "BLACK & GREY TATTOO explores a monochrome art form through a kaleidoscope of the most widely diverse interpretations and craftsmanly techniques, performed by tattoo artists from all parts of the world." 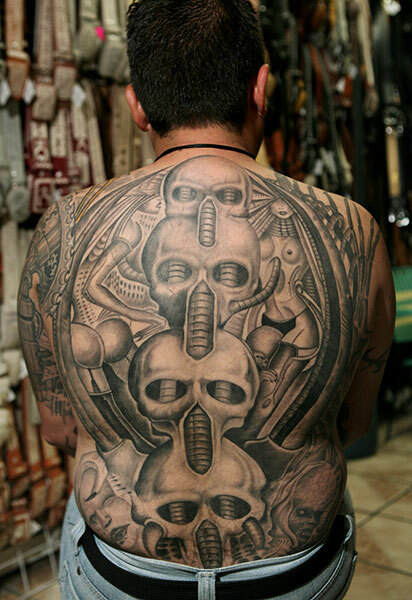 This tattoo tome explores the origins of black & grey tattooing — from the prisons and streets of LA to its contemporary resonance on Hollywood’s red carpets, at heavy metal music fests, and in private ateliers from Budapest to Beijing. 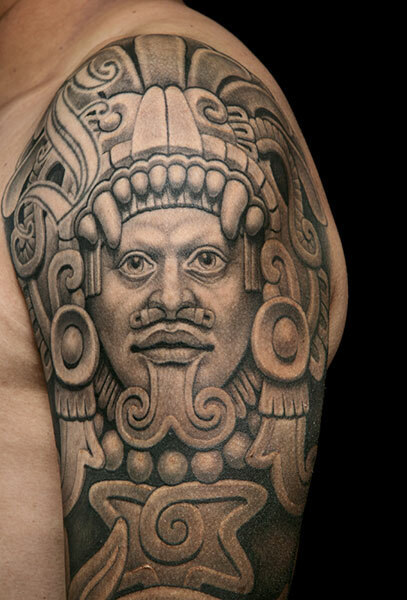 While rendered in just shades of grade, the spectrum of design is vast: Aztec warriors, fierce harpies, family portraits, religious icons and permanent shrines to celebrities adorn these pages. The common thread among them all is their inventive exposition and mastery of execution. 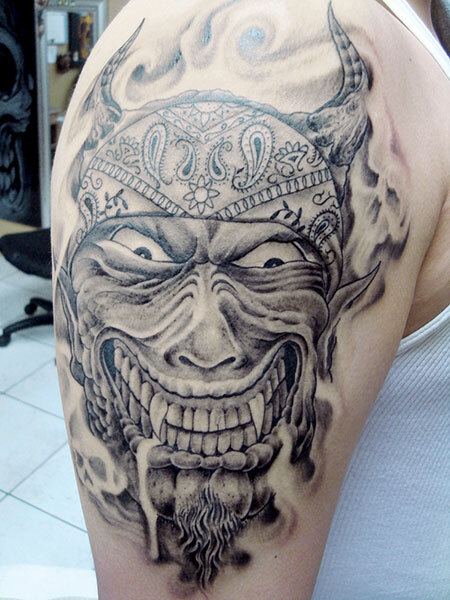 Black & Grey Tattoo is divided into three parts: Traditional Black & Grey, Dark/Horror, and Photorealism. Indeed, there’s cross-pollination among the different styles, but the breakdown isn’t just for easier lifting of this monster collection. 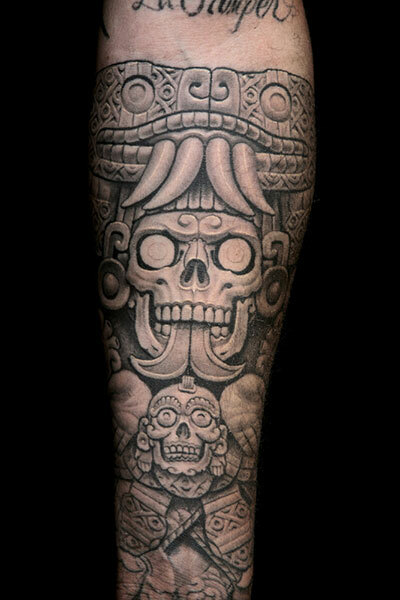 It is to show how tattoos with similar stylistic elements are interpreted differently by stellar artists around the world. 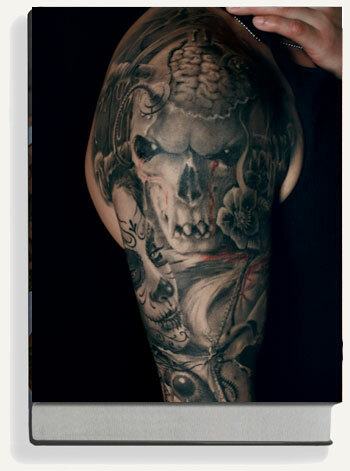 The book also presents the fine art — including paintings and charcoals — of many of those featured, although the tattoos themselves should be considered fine art. 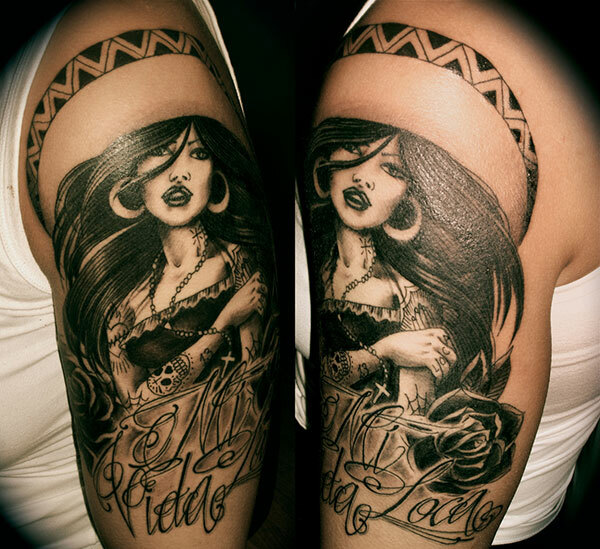 The first volume, Traditional Black & Grey, is somewhat of a misnomer as it’s simply called “black & grey” in the tattoo community. 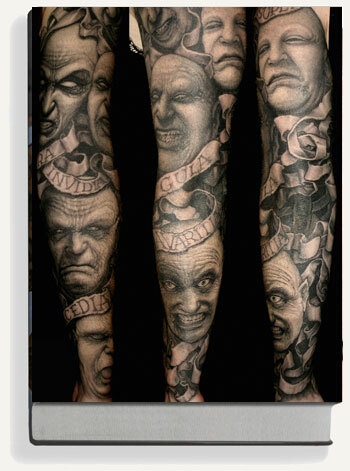 But now that greyscale tattooing has moved in different artistic directions, the “traditional” label is used to set it apart from its offshoots. 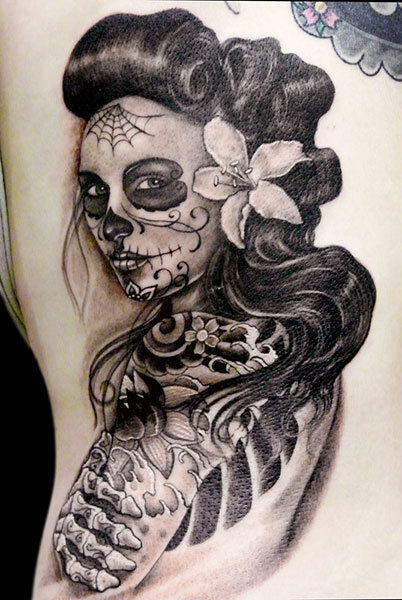 Traditional black & grey denotes tattoo art that has stayed true to its roots — a time when homemade machines made of cassette motors and guitar strings dipped in India ink and wash were used to mark skin. The essence of black & grey art is captured in the photography of co-author Edgar Hoill. 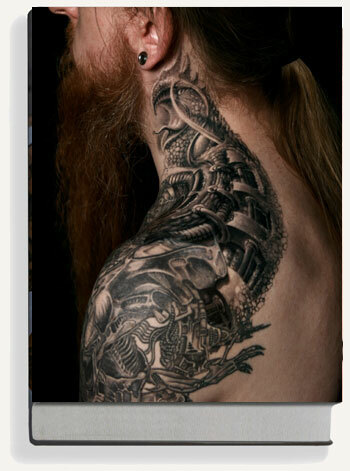 Select imagery, with quotes from the artists and collectors, leads this volume followed by interviews with Jack Rudy, the Godfather of Black & Grey; as well as tattoo prodigy Jesus “Chuey” Quintanar. 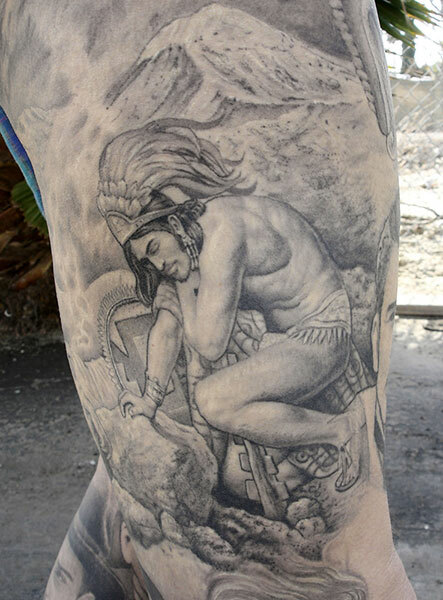 Their stories and tattoo work precede the gallery, which includes tattoos from other pioneers of the style: Freddy Negrete, Brian Everett, and Mark Mahoney. 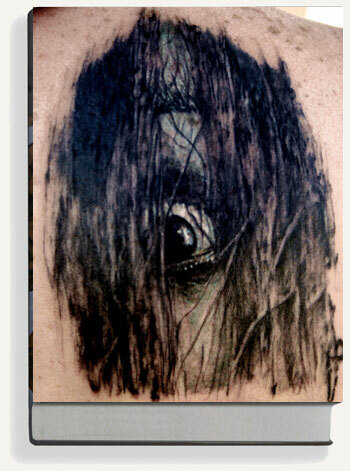 The Dark/Horror volume delves into personal demons relayed on skin. 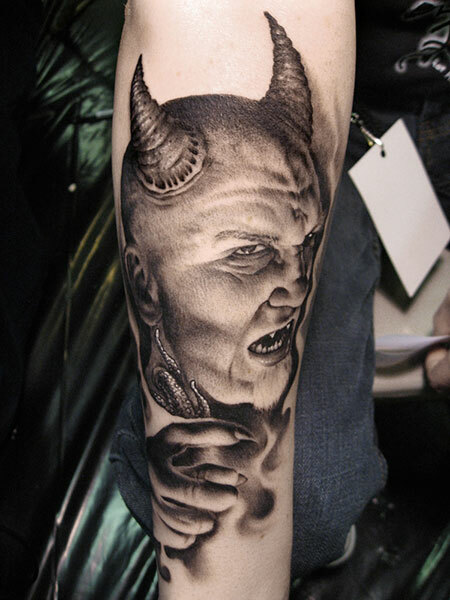 Paul Booth, often described as the “Dark Lord of Tattooing,” reveals some of the reasons why people get these tattoos as well as how his own demons have driven his art. 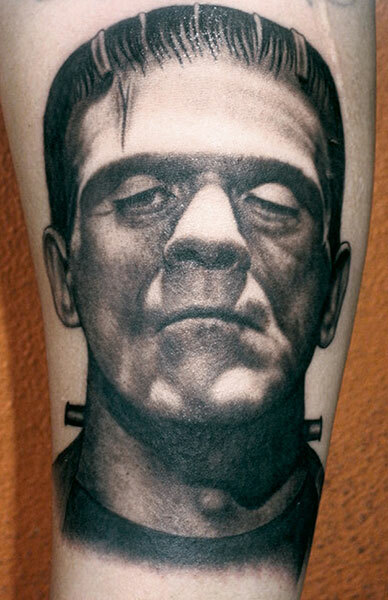 Other tattoos pay homage to horror in pop culture. 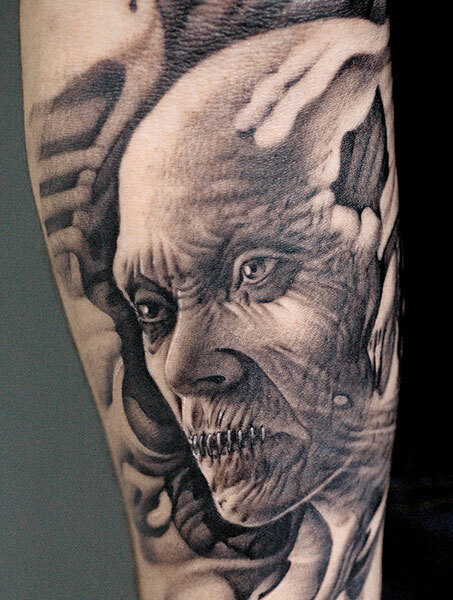 Artist Xu Zhicheng of Tianzhilong Tattoo in Beijing says in his interview that he finds inspiration for his large-scale dark work in vampire films, not personal angst. 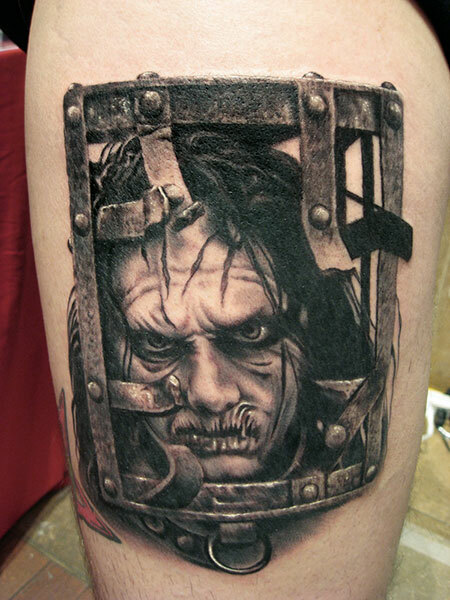 In this chapter, you’ll find everything from shrunken heads to Frankensteins to even famous tattoo artists rendered as zombies. 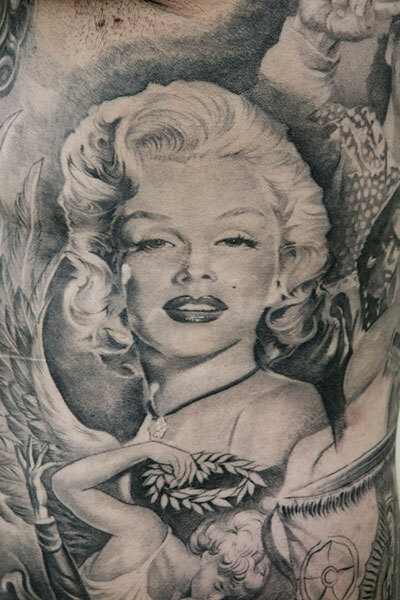 The Photorealism volume encapsulates work that takes photorealistic art and translates it on the body. While the other chapters also feature realism, this chapter concentrates on portraiture, scenery, and even fantastical images rendered in true-to-life tableaux. Two artists renowned in this style, Bob Tyrrell and Andy Engel, talk about how they honed their craft and even offer tips on how others can do so as well. 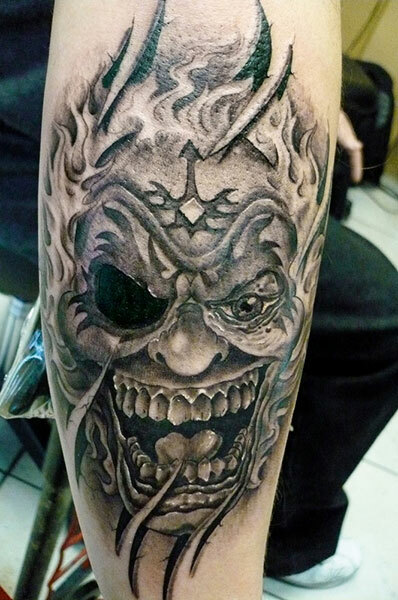 Their interviews are followed by work that has invigorated the tattoo community with the possibilities of mastering a difficult art on a difficult canvas. 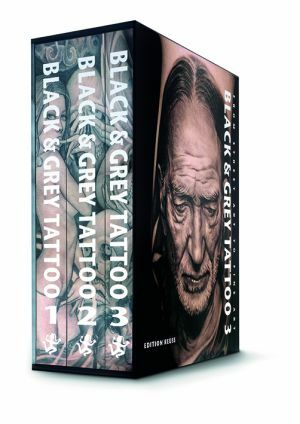 All three volumes in this one collection are meant to inspire, showing just how beautiful black & grey tattoo art can be.